I Will Pose for You! This Good Camel Posed for Me! 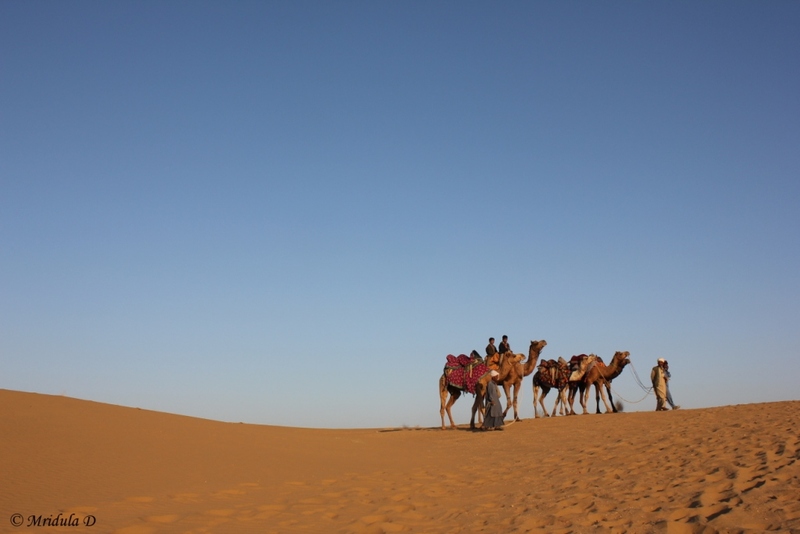 This was from the January trip to Jaisalmer. 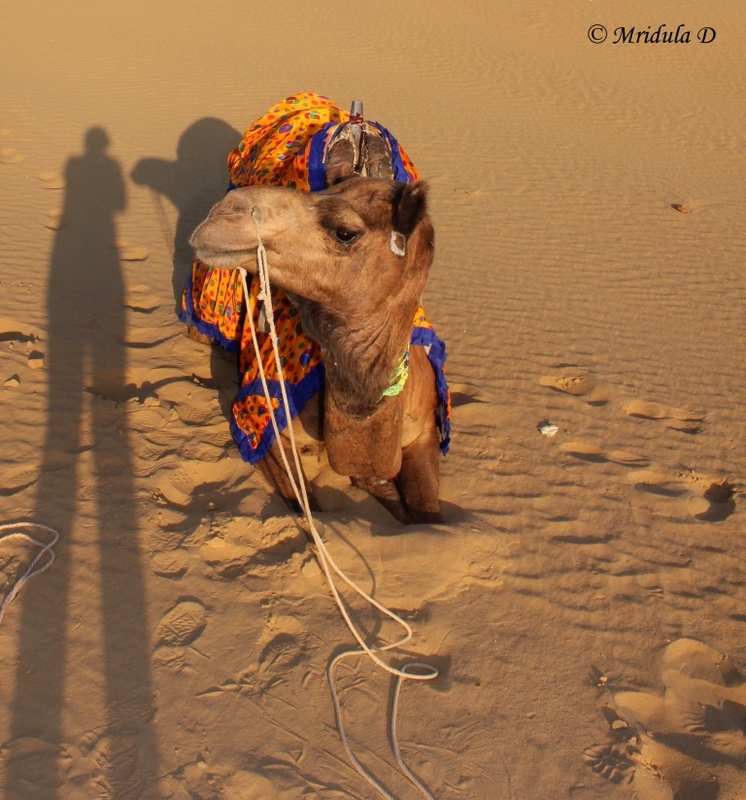 The long shadow is mine and the good camel posed for me with a smile. 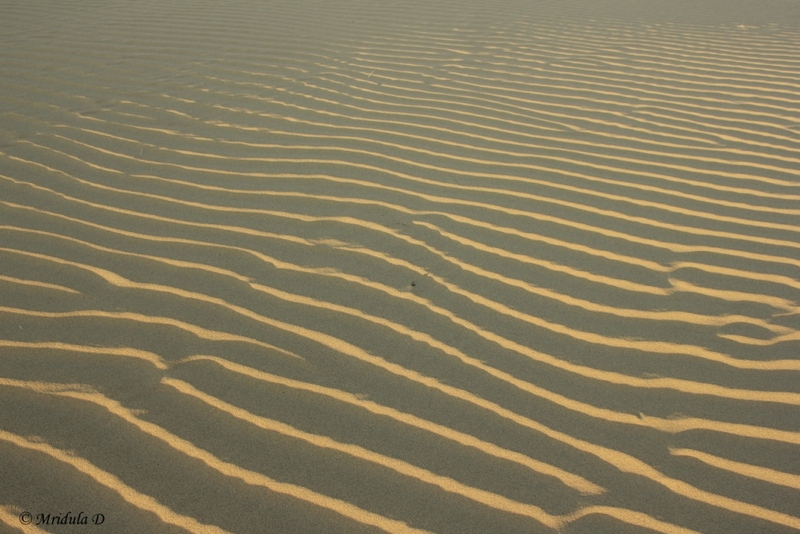 The patterns that light can form on sand dunes! 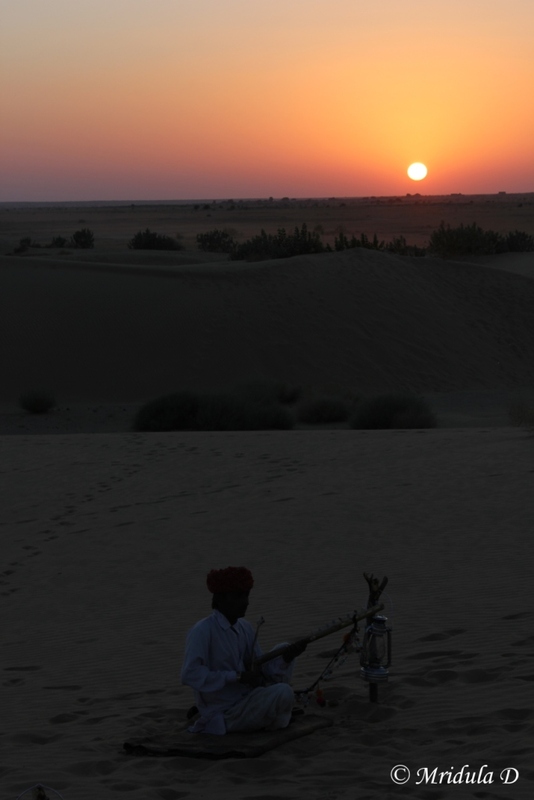 Both the images have been taken at the Lakhmana Sand Dunes, Jaisalmer. Which one do you like more? 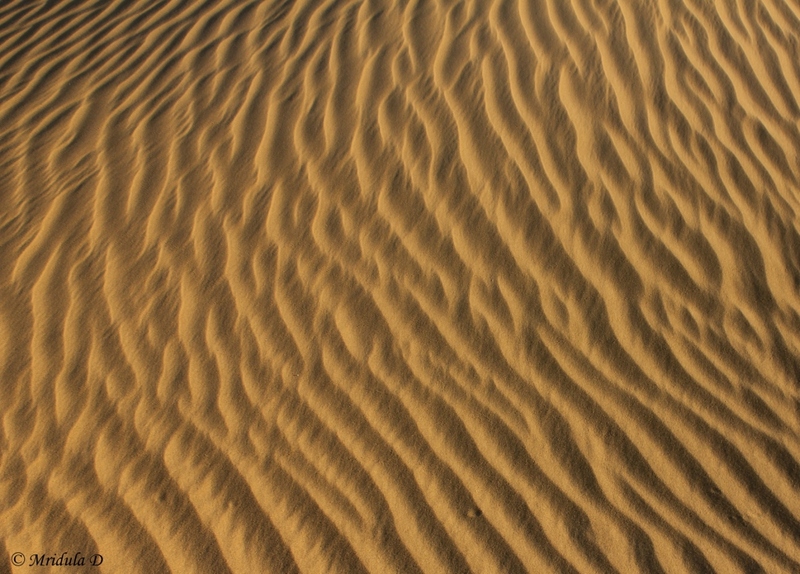 When I knew I would go to Jaisalmer, I was quite excited about the sand dunes. These days I have developed a tendency to sulk if I do not get good light to take pictures. So when I go to know at Suryagarh that we were visiting the Lakhmana Sand Dunes and stay there till sunset I was quite happy about the light for my pictures. On the way (we had a Fortuner at our disposal with a driver) Pallavi mentioned that there were 5 camels waiting for us at the dunes. I was a little (just a little) nervous about the camel ride, this was a first for me. When I was about to get on the camel’s back little did I know what a rickety ride was in store of me. Initially I thought I would not be able to click any pictures from the camel’s back but gradually got used to the movements. 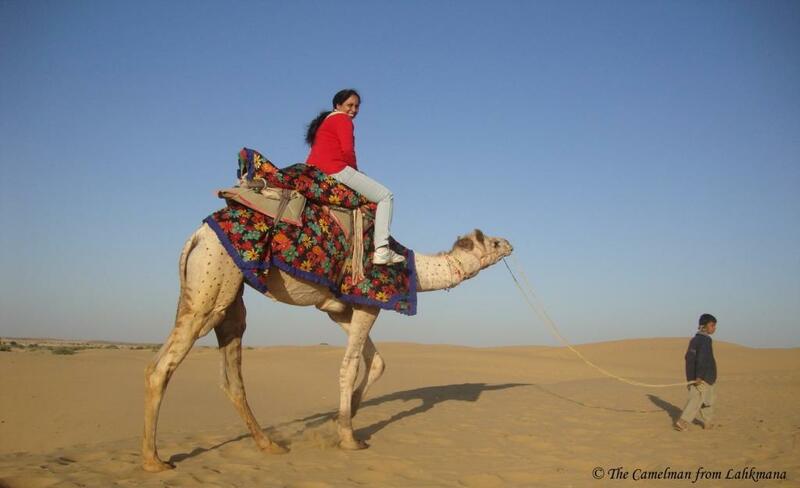 However, when the camel would get down a dune I always felt that I would get thrown off! But here I am, safe and sound, telling you the tale. The camel men asked us again and again if we wanted to roam about a little more on the camel backs but we all had enough, we could take it only for a small time. They departed soon and made for such a pretty picture. There was a surprise in store for us though. 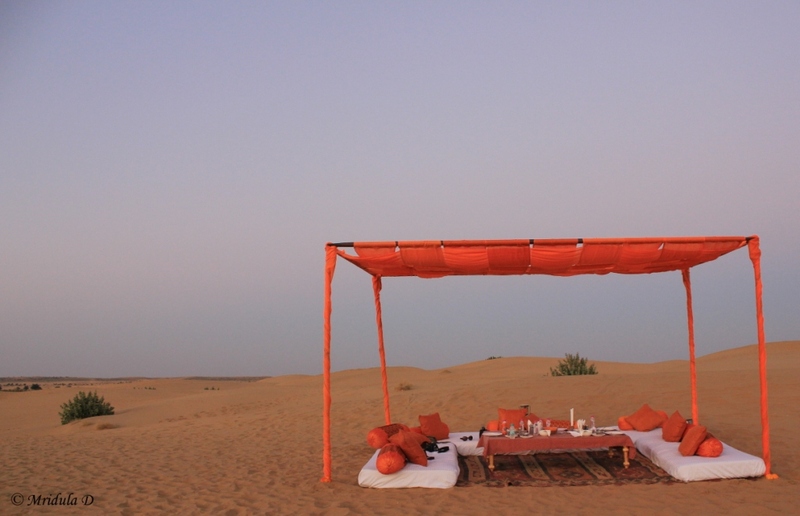 The good folks from Suryagarh had setup this beautiful space for us and served us a high tea right there at the dunes. And that was not all. There was music as well. And the sunset was fabulous too. This was our first evening at Jaisalmer but even then now we had started refusing food, as there was so much on offer at lunch itself. After sundown it became a bit chilly but there was fire too, so we lingered on for a while. But eventually and reluctantly it was time to head back to the hotel. The camel people told me that the Sam Sand Dunes are nearby but they are quite similar to Lakhmana, Sam is a bit more crowded. 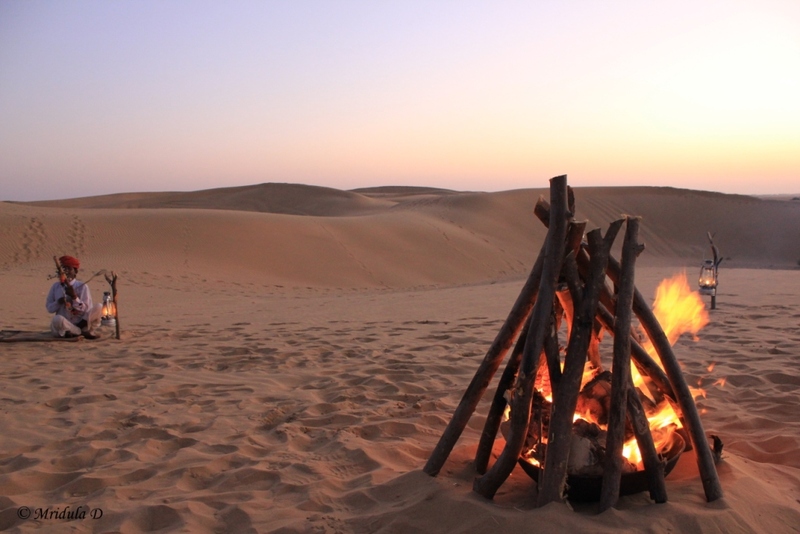 They said quite a few foreigners stay back at the dunes at night with the camel people under the sky. When I said this to a Suryagarh employee, he replied with a lot of pride, ma’am if you desire even we can arrange that. But then for me it was too cold to contemplate a night out under the sky. 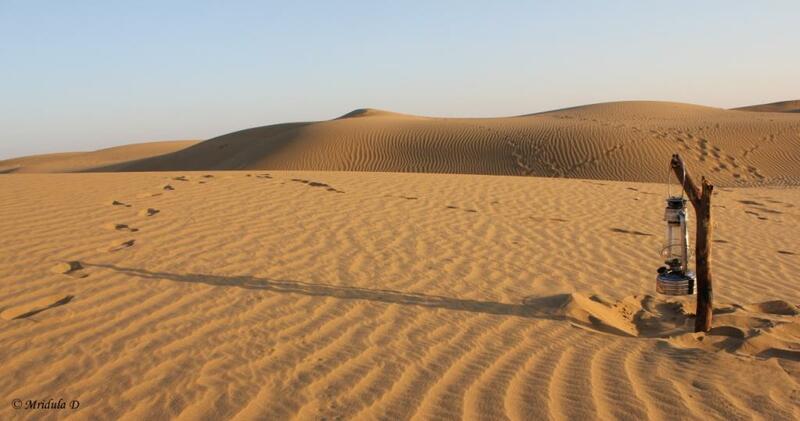 I am also told that there are bigger dunes 120 kilometers away from Jaisalmer. Next time.